I’m too tall to skate, and I’m too old to start. But I wish I could get involved with the skateboard world. Something about skidding across pavement always put me off though. 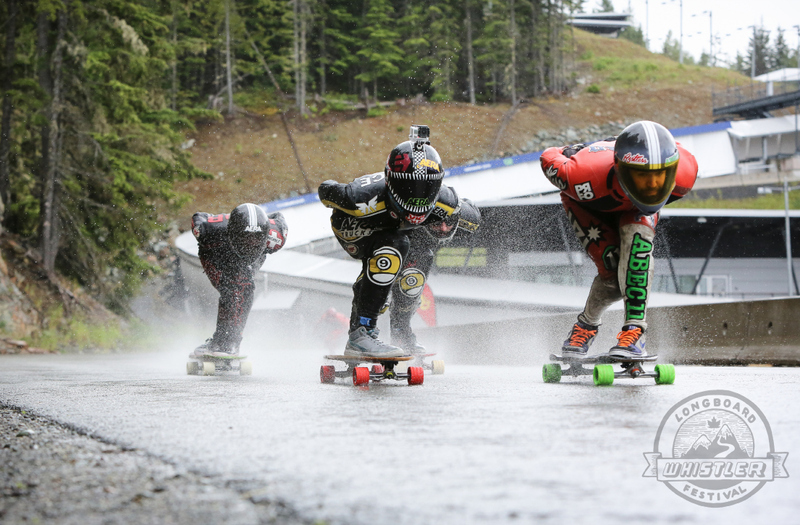 Then you see the photos of the Whistler Longboard Festival, and realise that the participants are daring or crazy enough to fly downhill on a board, hoping to place 1st. 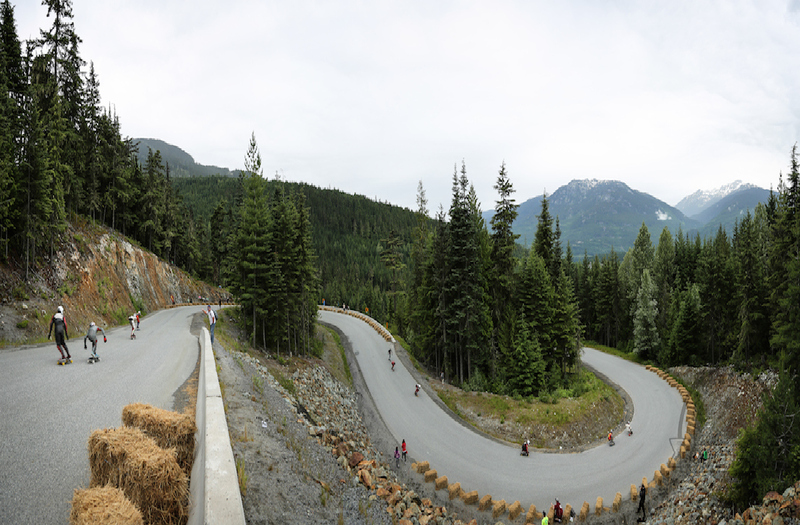 Or they’re part of the aptly named Skate and Shoot at the former Olympic Biathlon Track. At best, they’re wearing Lycra speedsuits or skinny jeans and T-shirts. You can’t tell me that’s not a little bit screwy. Yep, the annual event seems to come and go every year with hardly a local noticing. It’s strange; this is potentially another big weekend for tourism and a sport that undoubtedly works well here thanks to our rolling roads, and some of the hardest nuts to crack all competing. Maybe it’s because they don’t cause a ruckus – a somewhat fringe discipline on an already societally-rejected sport. Yet here they are, going fast, rain or shine. 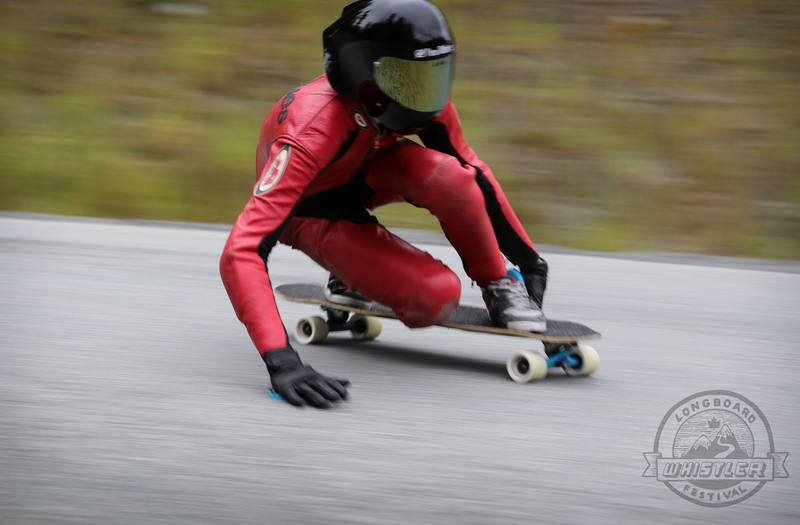 The results of the weekend are available at WhistlerLongboard.com, and it’s worth looking around the site to see this little underworld in a town known globally for its residents that aren’t afraid to do something a little crazy. To give you an idea of the speed of a race, check out the video just below. One more thing: it’s open to all, so if you start practicing, maybe you’ll be careening downhill with the best of them for 2015.